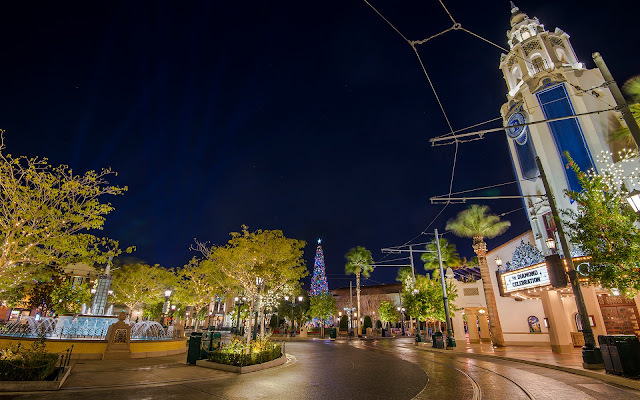 Disney California Adventure's Buena Vista Street brings about a more classical Christmas setting, with a warm, neighborhood feel of colorful and twinkling Christmas lights and lovely Christmas wreaths and wrapping, it provides a nostalgic, residential atmosphere in contrast to the more slick, polished Christmas look elsewhere. 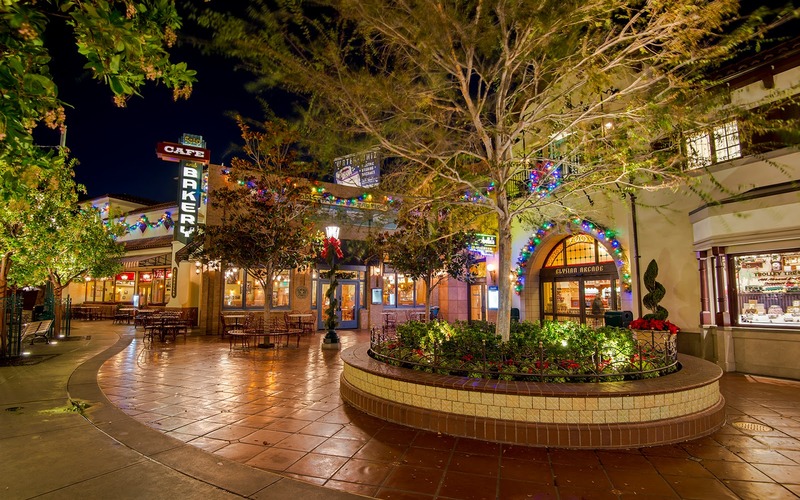 Everywhere in DCA's entrance land, there is intimate holiday decoration to evoke warm feelings of Christmas past. Here are some photos of the area! Carthay Circle is light up and bright for Christmas. 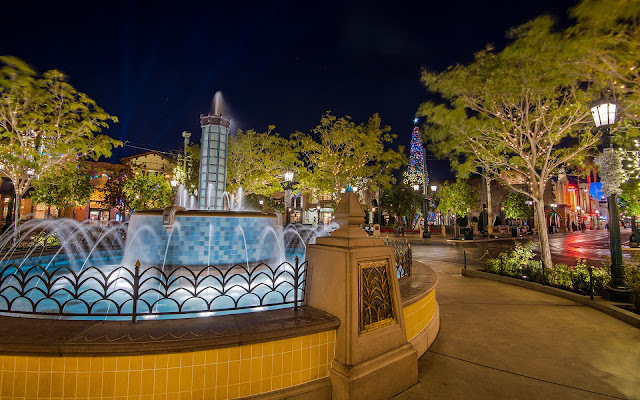 The Carthay Circle Fountain remains a lovely and serene place late at night. 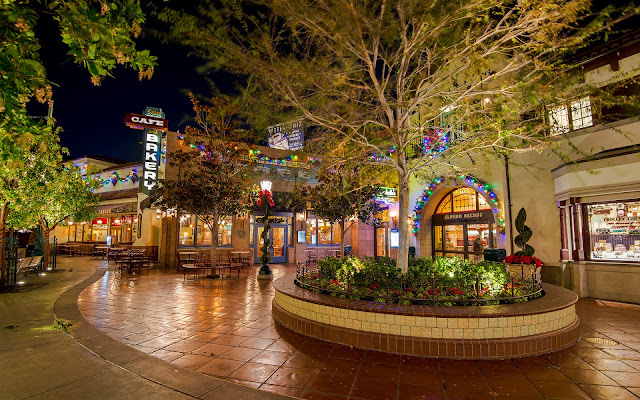 The plaza in front of Fiddler, Fifer, and Practical Cafe is cozy and organic. 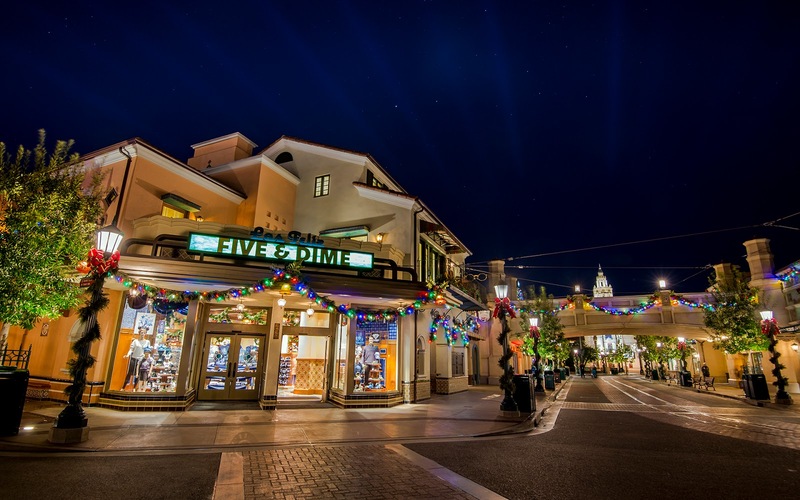 The Five & Dime is where to find the latest shopping wares--great for Christmas gift seeking! 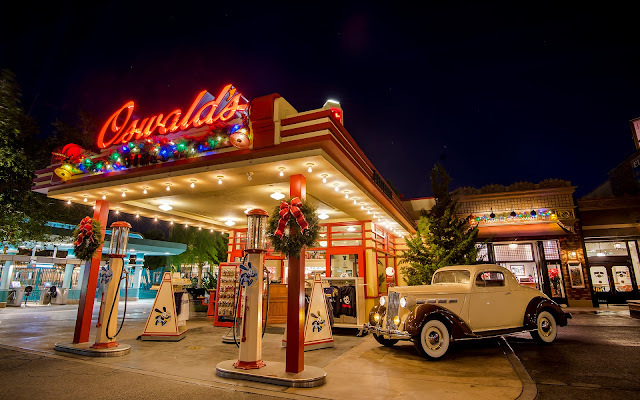 Of course, Oswald's offers one last chance at souvenirs and goodies before leaving the park.